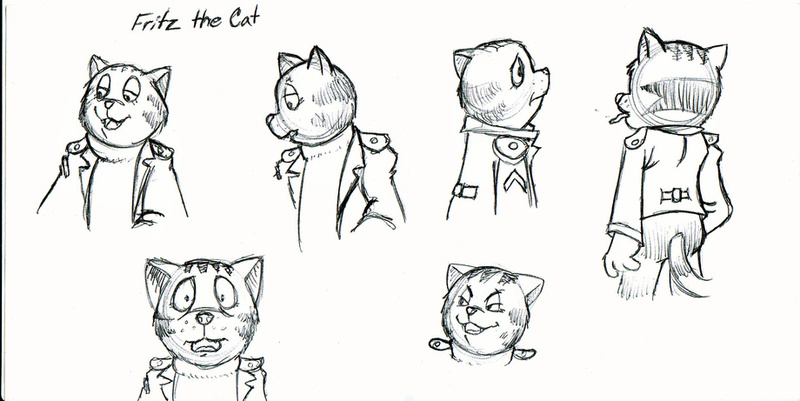 I was bored sitting at work today, so I decided to try my hand at drawing Fritz the cat. I used a reference for these, but no actual tracing. Free handed pen, and this is my first time drawing him. Well, I might draw more of him in the future, just another random work sketch to try and break my artists block. I've written a fan letter to Robert Crumb (the owner of Fritz the Cat), and he sent me an angry rant about how animators like me are destroying comics. I have it framed for prosperity. And I've met Ralph Bakshi (the director of the film), and he praised my work and said I should apply for his college whenever I'm in Hollywood.